Simply getting older raises your risk for Alzheimer’s, but age alone does not mean a slow decline toward dementia. Beyond age, there are certain factors that may further increase risk. Tags 2 diabetes, age specific psa, als, alzheimer, amyloid plaques, amyloid protein, anemia, apnea, apoe4, beta amyloid, blood pressure, blood pressure high, blood sugar, blood sugar levels, bmi, body mass index, brain, brain health, cancer, cancer treatment, cancers, chemotherapy, chemotherapy treatment, children, cholesterol, cholesterol high, cholesterol level, cholesterol levels, chronic insomnia, cognitive decline, cognitive function, cognitive impairment, daytime sleepiness, dementia, depression, diabetes, diabetes high blood pressure, diabetes type, diabetes type 2, diagnosis of diabetes, diet, digestion, esophageal cancer, excessive daytime sleepiness, exercise, food, glucose, glucose levels, hdl, hdl cholesterol, hdl levels, head injury, health, healthy diet, heart attacks, heart disease, heart disease risk, heart disease risk factors, heart health, high blood pressure, high blood pressure is, high blood sugar, high blood sugar levels, high cholesterol, high cholesterol levels, high density lipoprotein, high ldl, high ldl cholesterol, inflammation, insomnia 2, insulin, insulin resistance, ldl, ldl cholesterol, ldl levels, leukemia, lipoprotein, liver cancer, Lose Weight, loss of memory, low density lipoprotein, low fat diet, lower ldl, lower ldl cholesterol, lowering blood pressure, lowering ldl, lung cancer, lupus, mci, melanoma, memory, metformin, mild cognitive, mild cognitive impairment, multiple sclerosis, obesity, onset of dementia, oxidative stress, Pancreas, pancreatic cancer, people with diabetes, periodic limb movement disorder, physical activity, prediabetes, Prostate, prostate cancer, protein, psoriasis, sedentary lifestyle, skin, skin cancer, sleep, sleep apnea, sleep deprivation, sleep disorder, sleep disordered breathing, sleep habits, sleep quality, smoking, statin drugs, statins, stay asleep, stress, stroke, studies show, sugar, sugar levels, symptoms of depression, systolic blood pressure, the memory, to lower ldl cholesterol, total cholesterol, toxins, traumatic brain injury, treating high blood pressure, type 1 diabetes, type 2 diabetes, types of cancer, vascular dementia. 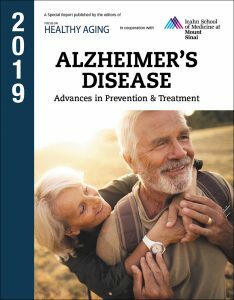 I thought you might be interested in this article on https://universityhealthnews.com: 4. Who Is at Risk for Alzheimer’s Disease?